I have been reading a bit this week on how some people think advertising works since my interest is marketing the garden in nineteenth century America. Michel Foucault in his book Birth of the Clinic discussed how the langauge about medical issues creates the way we deal with sickness and death. The names we give things is what the things become. 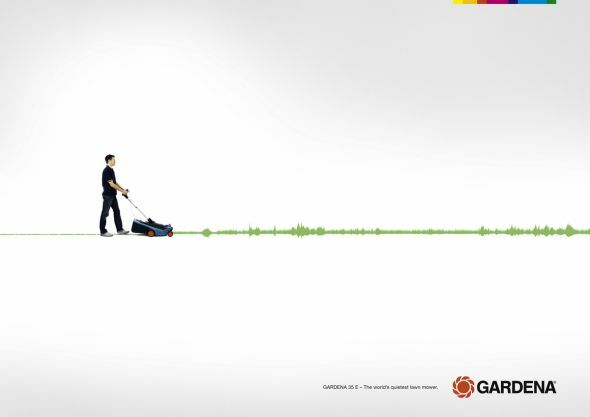 Aa ad for the Gardena lawn mower. the world’s quietest lawn mower. If we can name it, we can deal with it. People began to treat medicine objectively because words define illnesses. In advertising the word and illustration do not simply reflect a reality out there. What Foucault’s idea on language would say is that these symbols create the way we relate to that cultural reality. 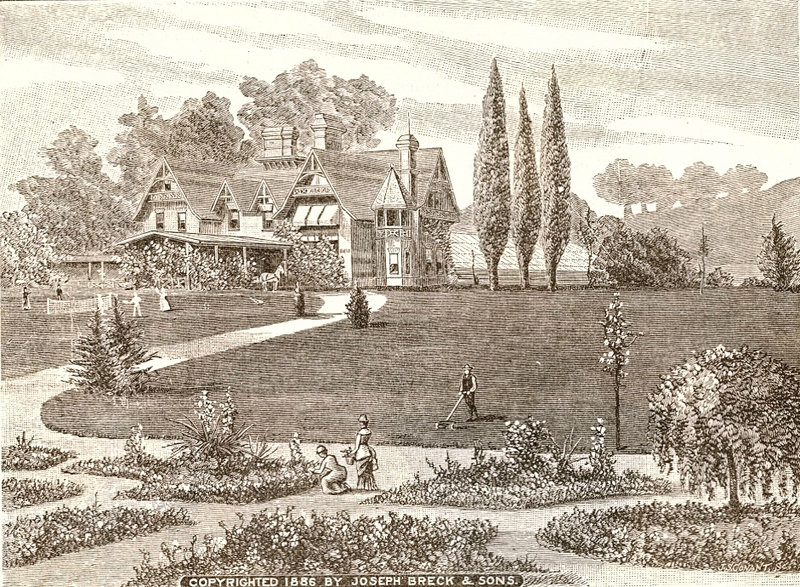 In the nineteenth century when seed and nursery catalogs advertised the garden as English, with a lawn, groups of shrubs, a curved walkway, and trees to line the property, that became the way people related to the garden and the landscape. We saw the same garden from Maine to California because the catalogs included the same kind of home landscape in articles, ads, and illustrations. Advertising is a powerful cultural force, not because it gets us to buy things, but because it gets us to see things in a certain way. It becomes the way we deal with things. The way a product is sold is the way we see it: the words and illustrations and now sounds create our view of the ‘thing’. So today the garden is advertised in terms of sustainability, native plants, and water conservation. 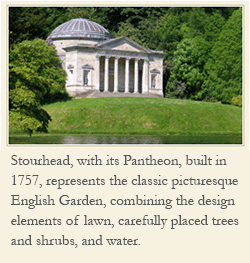 Those are terms that enable us to relate to the garden in a new way. Notice the Gardena lawn mower ad [above] still shows grass but little of it. Today the lawn continues its importance but does not play the same role it did in this 1886 Breck ad for lawn seed [below]. Then the lawn was to be expansive, and flow down from the house. 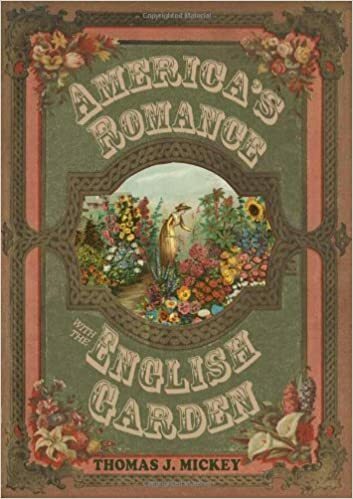 Advertising forms the kind of garden the American gardener cultivates, both in the nineteenth century and today as well. This ad appeared in the Breck seed catalog of 1886.